The Friars six game winning streak came to an end at the hands of an unlikely Boston College team on the road. After climbing into the top ten teams in the nation in scoring defense holding their opponents to a paltry 58.9 point per game entering the matchup with the BC Eagles, the Friars had no answer for Jerome Robinson (21 pts) or Ky Bowman (16 pts) who seemed to score whenever the PC pulled within any sort of striking distance in the second half. It’s only fitting that the same week in which I wrote a glowing review and deep dive into the stellar defense of Providence that they proceed to give up the most points they have all season to a .500 basketball team who has lost to the likes of Nicholls and Hartford. 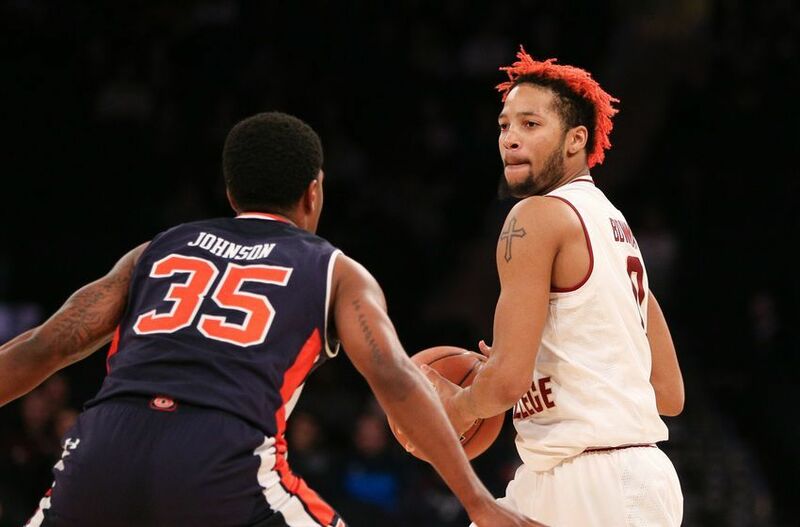 The forte of the PC defense has been their ability to defend the 3-point shot but that didn’t seem to make the trip with the team to Boston College. The Eagles seemingly couldn’t miss from beyond the arc, draining 11 of their 21 three-point shots (52.4%). After taking a slight lead into halftime in a back-and-forth game, BC went on a 25-2 run in the second half that pushed their lead to 20 points which proved to be too much for the Friars to come back from. The Friars switched to a full-court press with about 4 minutes remaining, almost instantly cutting the lead in half but it was too little to late for the Friars who had dug themselves a little to big of a hole to completely come back from. This Friars team got a reality check before the start off with a tough road back-to-back to start the Big East conference schedule against Xavier and Butler. The 6-game homestand might have pumped themselves up a little too much as they seemed to think that just showing up would be enough to beat this Boston College team. Road wins don’t come easy no matter who you’re playing. The Friars basically stopped sharing the ball in the second half and tried to get back in the game with individual play and pull up contested threes. That really got away from how this team is built and their biggest strengths. This group thrives off sharing the ball and making the extra pass. The Friars had just 15 assists on 26 baskets to go along with 14 turnovers. That 15:14 ratio is not ideal. One little silver lining was that Rodney Bullock finally looked like his old self on the offensive side of the ball after struggling to score in the last two games. Bullock scored a game-high 23 points on 7-18 shooting. The shooting numbers weren’t as efficient as we’ve become accustomed to from Bullock this season but he did get to the line 7 times, converting on all 7 attempts. Emmitt Holt also looked really solid in this contest, notching his third double-double of the season and the second in as many games. Holt finished with 16 points and 11 rebounds in a nice all-around effort from the Junior. I’m a little surprised that Ed Cooley didn’t try the full court press a little earlier in the second half when the Friars got down big. The BC backcourt is made up a Freshman (Bowman) and Sophomore (Robinson) who average almost 6 turnovers a game combined. A little pressure might have been something that could have at least gotten them out of rhythm. The other thing that I wish I saw a little bit was Jalen Lindsey switched onto whoever was hot for BC at the time. Lindsey can guard 1 through 4 and his height and length could have really disrupted the three point attempts from the BC guards. Ky Bowman’s haircut is ridiculous. Ridiculous. He looks like Raggedy Ann. 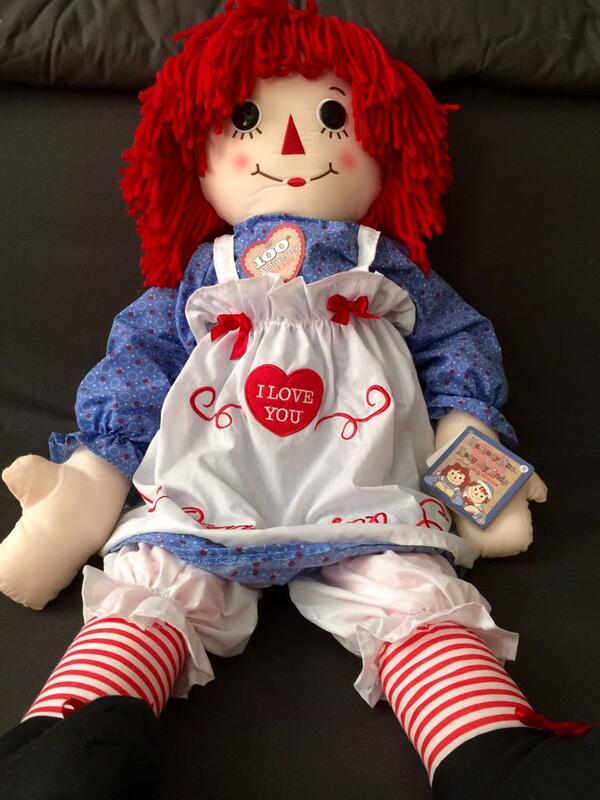 And that’s Raggedy Ann, not Raggedy Andy. The loss to BC is probably going to hurt the PC resume at the end of the season as they most likely won’t win a ton of games in a very good ACC conference this year. 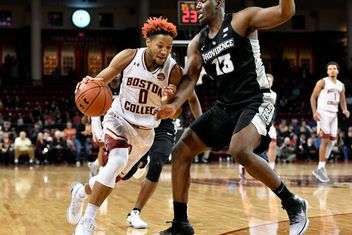 Boston College went winless in conference play and although they have already exceeded last year’s win total of 6, it doesn’t look likely that they’ll make some sort of magical run in the ACC. Next Up, the Friars continue on the Road at #17 Xavier on Wednesday at 7 PM. The game will be on FSN but you can watch on you Fox Sports Go app as well.